Dentistry is the practical application of knowledge of dental science (the science of placement, arrangement, and function of teeth and their supporting bones and soft tissues) to human beings. A dentist is a professional practitioner of dentistry. Several years of training in a university (usually 4-8) and some practical experience working with actual patients' dentition are required to become a qualified dentist. Here in Miami, Drs. Juan Anillo, Manny Anillo, and Maria Abril-Barsky have worked hard to achieve this level of skill, and they're dedicated to providing people of all ages with excellent care that is kind, comfortable, and always high in quality. For over 15 years, Dr. Manny Anillo has distinguished himself as a practitioner and leader in advanced cosmetic dentistry. His unique ability to visualize design and execute a fabulous smile has positively impacted the lives of many patients. He performs “Extreme Makeovers” on a routine basis! Dr. Manny Anillo was born and raised in Miami. He completed and received his degree Doctor of Dental Surgery(DDS) in 1992 at the university of The Pacific, in San Francisco, CA. He has been practicing dentistry since 1992. Dr. Juan Anillo loves what he does. 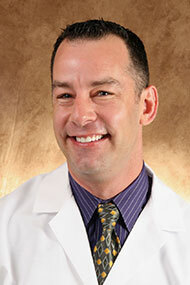 He is considered by his peers as one of the premiere cosmetic and implant dentists in South Florida. His focus and dedication to using the must advanced techniques has uniquely positioned him as an industry leader and greatly improved the lives of his patients. 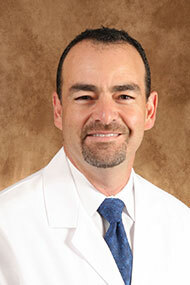 Dr. Juan Anillo was born and raised in Miami. He completed and received his degree Doctor of Dental Surgery(DDS) in 1992 at the university of The Pacific, in San Francisco, CA. He has been practicing dentistry since 1992. Dr. Juan Anillo is a current member of the American Dental Association, Florida Dental Association and South Florida District Dental Association. Dr Abril-Barsky is an expert in creating optimal oral health and esthetic. Dr Abril-Barsky's vision is to offer outstanding dental care using cutting edge procedures while ensuring patients are comfortable, properly cared for, and relaxed during their visits. Forging a partnership with every patient based on mutual trust and respect is central to Dr Abril-Barsky's effective treatment philosophy. Every patient has a unique smile, set of requirements, and expectations, and she believes that it is her job to listen carefully, and consider these in order to develop a practicable and individualized treatment plan. 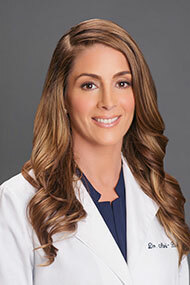 Dr. Maria Abril-Barsky is a graduate of the University of Florida with a Bachelor of Science in Nutritional Studies. She completed her dental training at the University of Maryland Dental School and has been practicing dentistry since 2001. Dr. Abril-Barsky is a current member of the American Dental Association, Florida Dental Association and South Florida District Dental Association.